Kent duo Daniel Bell-Drummond and Sam Billings were awarded county caps 211 and 212 today at lunch. 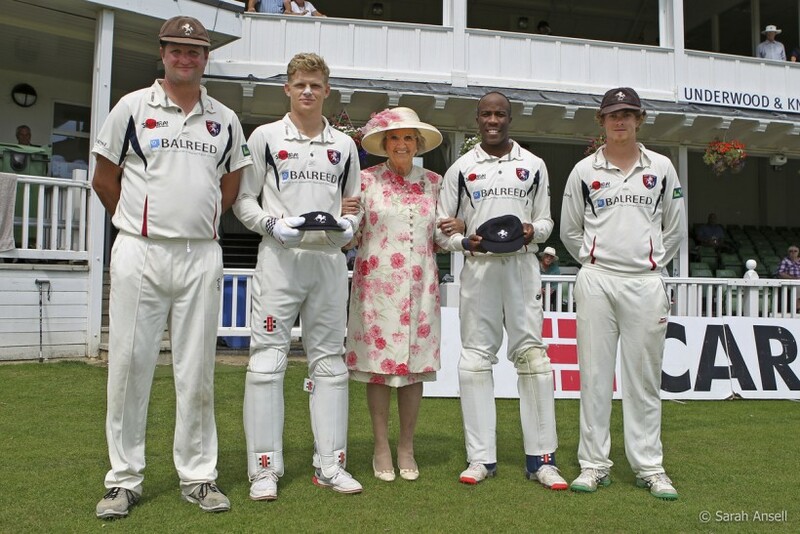 Club president for 2015, Lady Kingsdown, presented the players with the honour as they left the field for the interval. The Club present numbered caps, Lord Harris' was Number 1, and the numbers tell us the order in which they have been presented. Both players were delighted to receive the accolade and now become honorary life members of the club.